Born in 1863 to Amos and Annie Shirley, Eliza Shirley was raised to be a proper Victorian young lady in 19 th Century England . Though trained in all the manners and customs to become a lady of the manor, Eliza longed for more than an ordinary middle class life. Growing up in Coventry , England , as a young girl Eliza spent hours memorizing sermons preached by her father, a part-time minister. When she was fifteen years old, the Salvation Army marched into her hometown and began a work led by women preachers that came to be known as Hallelujah Lassies. In true Salvation Army fashion, these ladies held open-air meetings in poor neighborhoods in many cases in front of taverns. Their mission? To reach the poorest of the poor, whom no one else cared about, with the saving message of Jesus Christ. Eliza was so affected by the preaching of these women that she dedicated her life to God’s service and wanted to become a Salvation Army worker. Since she was a mere fifteen years old at the time, her parents, who also took part in Salvation Army meetings, asked her to withhold any decision regarding joining the Hallelujah Lassies until her sixteenth birthday. After she turned sixteen, Eliza was summoned by William Booth, General of the Salvation Army to discuss her entry into full time service with the group. Eliza accepted a post in Bishop Aukland, a coal mining village in Northern England . At her new post Eliza joined Annie Allspop to evangelize the area. They lived in impoverished conditions among the poor of the village, getting most of their food from keeping what was thrown at them at the open-air meetings. Most of the money taken in offerings to be used to help with the work was stolen by the crowds before it reached them. Though times were hard, these two pretty, petite girls reached this rough-and-tumble village for God. They saw God move in that village in a powerful way as even the worst men were converted to Christ during their meetings. They remained faithful to the work, and lives were changed. Later that year Amos Shirley sent word to his daughter that he and Annie were moving to America and that he wished Eliza to go with them. His thoughts were that she could start a work for the Salvation Army in America . Eliza contacted General Booth for advice. While he wasn’t sure she should go, he gave his blessing for her to test the waters in the U.S.
Amos, Annie, and Eliza Shirley arrived in Philadelphia , Pennsylvania in 1880 and immediately began looking for a building to hold meetings. Their first meeting was attended by only 12 people and the work grew slowly. The rough crowds often pelted the three with mud, stones, sticks, and rotten vegetables. Nearly four weeks after their first small meeting, God intervened. As the Shirleys made their way to the lot where they would be holding their open-air meeting, they noticed a glow in the sky. A fire had been started on their lot and hundreds of people turned out to see the spectacle. The Shirleys make use of the opportunity and began to sing and preach. After the sermon, a drunken man known as Reddy came forward and asked if God would even forgive a drunk like him. Yes, even him, the Shirleys explained. So, at that moment, Reddy gave his life to the Lord and his life was changed…and so was the ministry in Philadelphia . Reddy became such a living testimony to the grace of God, that people filled the meeting house to see it for themselves. Soon after this, Eliza found another building on the West Side of Philadelphia and opened a new work for the Salvation Army. 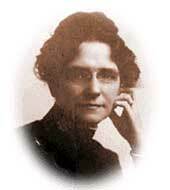 She sent to General Booth for reinforcements and the work of the Salvation Army spread throughout America . Hallelujah Lass by Wendy Lawton, Moody Press, 2004.